Memory Maker is a hot topic since Disney promotes it a lot, but many (most?) people are really confused about how it works and whether or not they should buy it for their trip. Today, I have details about how the PhotoPass system works, including how Memory Maker works. What happens after you pre-purchase? We need to start with some definitions since this is the root of a lot of confusion. First of all, PhotoPass is the overall system that Disney uses to take your pics in the parks, on rides, and at some character meals. Anybody can use the PhotoPass system whether staying off-site or at one of the Walt Disney World Resort hotels. Items with your photos printed on them - calendars, greeting cards, mugs, mouse pads (do people still use those? ), etc. Memory Maker - a digital download that includes all of your pics taken in the parks and on rides. People who buy this package have the rights to use the photos however they'd like, including printing them at a local printer and ordering products with the photos (such as ordering products from Shutterfly or Snapfish). Purchasers also get on-ride videos and animated Magic Shots that are not available to anyone else. First of all, you can purchase it at any time (including after your trip), but to take advantage of the pre-purchase price (which saves you $30), you'll need to buy it at least 3 days before your trip. The pre-purchase price is $169 and the full price is $199. Purchase it online at https://disneyworld.disney.go.com/memory-maker/. Side note: many types of Annual Passholders get free photo downloads, which is basically getting MM for free. When you're in the parks, you can just take photos with the Disney PhotoPass photographers as you encounter them. Disney has a map of Disney PhotoPass photographer locations (scroll down the page at that link to see it), but the reality is that it can really vary and they aren't always in these spots. They'll scan your MagicBand or photo card (park tickets can also be used if they are linked in your My Disney Experience account; people with park tickets that are not linked should use PhotoPass cards given out by photographers instead to avoid losing photos). Scanning these will link your pictures to your MDE account. When you're on rides, Disney will automatically add your ride photos to your My Disney Experience account because they can detect your MagicBand on rides. It does seem to work well for most people, but just to be sure, you can scan your MagicBand under the ride photo screen as you exit. If you don't see it in your PhotoPass account within a day, call 407-560-4300 and give them your ride photo info (such as the date and time you were there) to see if they can find your pic and add it to your account. Special situation with on-ride photos: you must either purchase them in the parks or have MM to get them. A couple of notes: 1.) most of those photos are taken outside the restaurant/show, not at your table and 2.) these are digital photos; the printed pics were no longer offered at the meal as of January 2015. Most parties (including the Halloween and Christmas parties) offer PhotoPass pics. If your trip is short or if you just want to capture the photos from a single day (for example, photos from either Mickey's Not-So-Scary Halloween Party or Mickey's Very Merry Christmas Party), Disney does now offer a single day version of Memory Maker. The Memory maker One Day costs $69. Once you have taken at least 1 PhotoPass photo you'll see the One Day option appear in the My Disney Experience App. When you're logged in, go to the family and friends page and make sure this option is selected for the people you're connected to. Only the person that has purchased Memory Maker and holds the "entitlement" will be able to edit and download the photos, but anybody that's linked can add pics. The person with the entitlement does not need to be present to have pics added. Anybody who is linked can do that. The simple answer: not much. You've essentially pre-purchased a credit which resides in your My Disney Experience account and can be applied after your trip. Some people will receive a Memory Maker card by mail, but most people don't. You should make sure it shows up in your My Disney Experience account. Note: you should consider waiting until after package/room discounts have been released for your trip dates to add Memory Maker because modifying an existing resort reservation to use a promotion has at times been more difficult when you have Memory Maker than modifying one without it. Make sure all of your photos are there and that any Magic Shot pics you took have the characters inserted. If anything seems off, call the PhotoPass support number at 407-560-4300 or you can report missing photos online. Go to "My Downloads" in your account and download pics as many times as you'd like within the allotted time period. The download is a zip file which doesn't work well from phones or tablets. You'll either need to install an unzip app on your phone/table or download from a computer. Now that you have your photos, you can use them however you'd like. You don't have to be doing all of the items above, but at least a few of them should be true for your trip to make sure you get plenty of pics. Disney occasionally offers promotions that included a free MM which is essentially a $169 savings to your package. Not only is that not a lot to save on a vacation package, but Disney often releases other promotions that can save much more. The other promotions are almost always worth more savings but since people may have previously added the Memory Maker to their package, most ended up keeping it and not removing it when they change to the new promotion. My advice is that these kinds of promotions generally aren't a good idea (you can usually save much more with another promotion) and you should be sure to remove MM from your package if you originally got it for "free" but don't want to pay for it under another promotion. I'm staying off-site so how does Memory Maker work for off-site vs. on-site? Off-site guests won't have MagicBands to use unless they are purchased separately (they are available to buy in the parks) but can use PhotoPass cards or park tickets to scan pics. Since some new MM features (like on-ride videos) are only available to people who use MagicBands, it might be worth it to have at least 1 person buy one to get the full benefit. I have more than 1 trip planned. Can I use it on more than 1 trip? You can take pics for up to 30 days after the first time you download a photo to your account and then Memory Maker photos must be downloaded within 45 days of the first day you download pics (translation: if you time it right, you could get up to 75 days of use out of MM). You'll most likely just end up using it for 1 trip unless your two trips take place within that 75 day period. How do I get photos if I don't purchase Memory Maker? You can still buy individual pics, order products that use PhotoPass pics, etc. I like having a CD backup. Can I get that? People who have purchased Memory Maker or who have an Annual Pass have the option to purchase a CD of pics for $29.95. Can I upload my own pics to the PhotoPass site? You can upload your own pics for certain products on the PhotoPass site (like the photo book), but not for MM. I'm combining Disney World with a Disney cruise. Can I use Memory Maker on both? No, there aren't PhotoPass photographers on the ships so that's not possible. There are separate photo packages that you can purchase onboard. Have questions or comments? Feel free to share in the comments. I just looked in MDE and under my linked friends and family I see the option to share as “My Disney Photo Pass”. The “checkbox” beside it either turns red or white. Does red mean turned on or does white mean turned on? Not very clear. Regarding Memory Maker, there are various options to choose from for each original photo (i.e. size (4×6, 5×7, 8×10); orientation (landscape vs. portrait); effects (color vs. black and white); borders; and stickers. Is there a way to to have Disney automatically create photos with all of the various options included? It would be nice to simply download one zip file containing all original photos and the numerous variations mentioned above. I then can decide what to keep after I download the zip file. Is this possible? Hi guys, do any of the new Toy Story Land rides offer photos/videos? Thanks! Yep! Slinky Dog Dash does offer it. Ok help, I have been researching Memory Maker and I saw on this site that you can technically stretch it to 75 days depending on a few actions. I have magic bands and logged in and bought memory maker. About 32 days after our trip our parents are going and I wanted to stretch it to cover their pictures. If I have a magic band and add them as friends in the Experience app how can I stretch it. If I take a bunch of photos and use my band to save them but don’t access them right away is that’s what starts the delayed 30 day collection period? I have to say with the recent rain that lasts all day, the number of photographers out and about were very few. We have almost no pictures from animal kingdom and not many from Epcot. I might have made a different decision if I had known how weather impacts it all. So I didn’t see an answer to a question I was wondering about. I will be traveling with another family which has a seperate reservation. If we are linked as friends and family on MDE app and only I buy Memory Maker, will all our magic bands be linked for photos? I want to make sure that i can download all of their photos also even if they dont have MM. Also, will they have to create a MDE account ? Yep! You will be able to download photos for your friends. Everybody going to Disney World should either have a My Disney Experience account or should be listed in somebody else’s account. Curious if anyone can answer this for me…. we are going to Disney tomorrow and our first park day will be Saturday. We were on the fence about memory maker and finally decided to take the plunge. So, I was planning on purchasing today but am unsure if I do the “advance purchase” if I will have the pictures from our park day on Saturday or not? If I purchase a 1 day Memory Maker/Photo Pass and I am staying off site how do I purchase a Magic Band? You can buy Magic Bands though the online Disney store. Going to do it myself for our trip next year. Staying off property so purchased and have our 4 tickets (credit card type). I pre-purchased our Memory Maker. I have a MM Conf. # and it says it is “Assigned To” me. Does this mean my specific ticket the only one that can be used to obtain photos? Can/Do I need to link the MM to the other people in my party? This is our first time pre-purchasing MM and I’ve had a hard time finding info, other than how to purchase, on the WDW site. Thank you! If it’s assigned to you, that means you’re the primary person and the one who can download the photos. However, anybody you’re linked to can take and view photos that will appear in their account. Their pics will just have watermarks on them, so they’ll need to get the non-watermarked photos from you. If we’re staying offsite this trip but I have my magic band from the last trip, can I somehow link my MM and MB? So, 2 families going together can link their plans on the MDE app and only purchase 1 MM then after the vacation….. go to the site and download a zip to one computer then go to the website and sign in from the other family’s computer and also download to a zip file? Yep! You can do that. I’m a little confused about what you said about the special situation with on-ride photos. If you purchase Memory Maker during your trip, after some ride photos may have already been taken and linked to your MDE account, will you be able to get these on-ride photos with Memory Maker? I’ve read people say that Photo Pass and Memory Maker are two different things. Then I read people saying they ARE the same thing. Which is it. Disney is HORRIBLE at explaining these!!!!!! As the article mentions, PhotoPass is the overall system. Memory Maker is one of many products that you can purchase within the PhotoPass system. Question. I just purchased the Memory Maker. Upon further reading about it, after I purchased it of course, I read that all photos will have a “water mark” that will only be removed IF you PURCHASE the photo! Is this correct? And if so…why bother paying for the package if you STILL have to pay for each individual photo you want? I THOUGHT we could download and print whatever photos we wanted. Doesn’t sound like thats the case. They won’t have a watermark if you’ve purchased Memory Maker. Hi. Just an FYI, we were at pirates league on 12/3/17 and they did they no longer have a photo option there. We were super disappointed, since we had done pirates league before and were expecting it. Bummer! Removed it from the post. Thanks for the update. Thank you so much for your wonderful helpful site. Just wondering, we purchased memory maker for our last trip in 2015, however this year we are visiting for 17 days and have purchased platinum annual passes to cover that many days. Will we get the full benefits of memory maker with the annual passes (eg: videos on mine train and tower of terror) or do we need to purchase memory maker also! Thank you so much ? You will get the full benefit with your Annual Pass, including the on-ride videos and anything else that is available with Memory Maker. Have a great trip! There is also a 1 day option. We used it in April. We did 4 parks in 1 day and I really wanted the Disney pics but didn’t want to spend $169. A cast member told me about this option and it worked perfect!!! $59, Disney’s Memory Maker One Day is currently available on the My Disney Experience mobile app and can only be activated with at least one (1) Disney PhotoPass® Service image linked to your My Disney Experience account (subject to change). To locate this one day feature, please open the app on your mobile device and scroll down to My Photos from which you’ll need to select Disney PhotoPass and follow the prompts for the Memory Maker One Day product. The Memory Maker product is also available for purchase in advance, for the duration of your visit. Please note, that all prices are subject to change and you can review all your Disney PhotoPass® Service images before you make your purchase. *I was not able to pre- order this option. I had to just take pictures like normal in the parks and link them to the bands. Then when all the photos were uploaded from the day, choose 1 photo and select, the option Buy 1 day photopass. Worked great for us and our short trip. Hope this helps! I purchased the advanced MM and will be traveling with my sister and her family and want to use it with them. We made our trip reservations separately but are now linked as friends and family. Does this mean that their magic bands will automatically be linked to the MM too? Or just my family since that’s what I originally booked it for? WIll any of my photos disappear/expire? Will I be covered if I buy and extension? I’ve emailed WDW several times but they are not giving me a clear answer . At $200 (Cdn) I would like to use one for both trips. If anyone has done this or know so about it please help me!! I would appreciate any tips! Also, technically photos expire (or used to expire) within 30 days of being taken, but there is a 15 days grace period on top of that so 30 days + 15 days grace = 45 days. Can you use memory maker at Disneyland? I have a trip to Florida next week and then a trip to Disneyland in Sept. The systems aren’t connected between the parks. Disneyland has a new MaxPass system where you can pay a fee per day to get your photos, and it also gives you the ability to book FastPasses within the Disneyland app. thank you for all your tips. We are at Disney now with my family of 11… 1st visit from Argentina. I planned everything for them following your guidelines. We had a VIP experience with almost no waits on this busy times!! Incredible. We can’t thank you enough. We were yesterday at the FROZEN game in Epcot and they offer on ride Photo. Just a little contribution from us to add to your excellent site. Forgot to say that its only available for those who have magic bands. I have an AP with photo benefit. I am friends with another family, but I can’t see all the attraction photos in my photopass account that they see. They can see Splash Mountain, Space Mountain & Big Thunder Mountain as well as the Buzz & 7 dwarfs train that I can see. Any idea why this is? Should I see all? What about restaurant photos? Any ideas if there is something we need to do extra? Does Big Thunder take pic? We didn’t see any? Does Mickey’s backyard BBQ not have memory maker? I see it’s not listed. I’m asking in hopes that it was accidentally left off the list, lol. Thank you so much for all your tips and tricks and info about Disney! It’s been very helpful in our planning! It says in the post that you can download your photos as many times as you want. The photos of my last trip begin to expire Oct. 15. I’ll be back in WDW on Oct. 16. Will I still be within the “active” period, or will I need to purchase memory maker again for the upcoming trip? I can view and save my Memory Maker photos on the Disney app but I am sure I read somewhere that borders and stickers can be added but I can’t find out how to do it, can you help please? Hi quick question, just for clarification….the only rides at Magic Kingdom that offer an opportunity for photos are Buzz Lightyear, Space Mountain, Splash Mountain? Hi! I have a question! We are a large party with combined families and would like to purchase memory maker to share. I understand we will have to enable photo sharing, but will this combine all of our dining and fastpasses? We don’t want to mix ALL of our plans together. Is there any way to share memory maker without sharing all of our plans? (It would be totally confusing for all of us if we are seeing everyone else’s dining and fastpasses in the my Disney experience app) Thanks! I’ve read tons about the Memory Maker and am tempted to do it. I’m going to Disney this September for my 30th birthday with my best friend. We’re going for 5 days at the parks (with hopper) and Mickey’s Halloween Party. Also will be at Disney Springs for a few hours when we first arrive (not part of the 5 days). Since it’s just the two of us going, we’re thinking it’s a bit pricey to pay for. We’re both rather picky people when it comes to photos (I especially hate myself in photos XD), so we were just going to do duo-selfies with our phones (or have the staff use our phones to take pics). I’ve been leaning towards doing the Memory Maker for all the extras like the ride videos (which all of them we are going planning to go on) and the Halloween party but my friend is just thinking it’s another $75 for her. Money is kinda tight for us so it’s a hard expense to justify when there’s a HIGH chance of us not liking many of the pictures (though, I’m thinking photoshop and creative cropping could be a saving grace). What do you think? Any tips that would help sway us one way or another? I’m thinking since it’s my 30th, go for broke. hahaha We still have 50 days before our trip (SO EXCITED!) but this is the last thing to decide before we go. Is it worth it to try and convince my friend that this might be a worthy investment? Hello! For Starters I love this website it is so helpful! Thank you for all the time you have dedicated to create this, It’s very informative and is already making my life so much easier. I’m still a tad bit confused on this topic and was wondering if someone can help. I was planning on buying Annual Passes for my family of 4 but we were interested in the silver passes however I noticed the gold is the lease expensive to include photopass downloads. The Gold pass is an additional $60 so I was thinking of just buying my own annual pass as the gold pass to include the photopass and my husbands and 2 sons would get a silver pass. Would all of their pictures link to my account? also would this include videos? I noticed with the annual pass they call it photopass not memory maker is there a difference? Do I still need to pay additional to get the videos or will this inclusive photopass be sufficient? I have this same question – did anyone ever get an answer about this. The follow on question would be, if I am not IN the picture (my wife and kids get a picture while I’m elsewhere) do I still get to download the picture because their accounts are linked to mine? I purchased tickets and memory maker separately, therefore, I don’t have a magic band; then how can I be sure the on-ride photos will be uploaded to my account? Does the card-ticket works the same? You can scan your ticket under the ride photo screens as you exit the rides. However, you won’t get the on-ride videos unless you buy a MagicBand. Hi, I am going on a trip August 7 and my sister is going Sept. 10. I read above that it is possible to use for two trips, prolonging it to a 75 day period. How is this possible? Basically, you have 45 days from the first download to use the system. So if you can resist the urge to download your photos from your personal trip until you return home it will extend the 45 days. Then the timer starts but new photos can still be added. So in essence your sister could use the Experience as well, as long as her trip is done BEFORE the 45 days of your first download. I just wanted to clarify this, Shannon. I was just on the Memory Maker site and it states that the 45 days starts the day the picture is TAKEN, not downloaded. Did I read that correctly? Are those rides and dining reservations that use the memory maker/ have photographers there taking pictures still current or have they been updated? I have a question. Someone already purchased memory maker for her early June trip and I mentioned to her about memory share group. She is interested but would like me to be the leader. How do we go about making a “ghost” account? So that’ve can be the leader and have 4 other families join? There isn’t a way to do a “Ghost” account really. But you do have options. You can either link the groups to your Disney Experience and allow them to view and purchase your photos. OR you can give them your Disney Experience password so they can go in, HOWEVER, be sure you select that they are unable to make plans and changes to your itinerary as to avoid mistakes. OR you can go in personally and sort the photos and email them to the owners. So you can link accounts for memory maker without meshing all your plans together? We are traveling with my friends family and would like to do memory maker together but have lots of different separate plans. We do not want to see ALL of each other’s fastpasses (shared is fine) We also don’t want to risk messing with each other’s plans (that are not together) When I called they told me we would see everything if we linked together. I decided against it because I don’t want the headache of the app combining all of our plans together but if this is not the case I’m definitely going to reconsider. Thanks! I am planning a trip in July and am planning to pre-order Memory Maker. Could I purchase Memory Maker in May and it still be available to use when we get there in July? Or should I wait until the middle of June to purchase it? I just purchased the Memory Maker. Is there anything else I need to do until my vacation in June? One question I haven’t seen clarified yet; annual pass holders (outside of Florida residents) seem to get something called Disney PhotoPass Download, which seems to work like a MM. The PhotoPass page says “Passholders are able to download all eligible photos linked to your Disney account as many times as you like until they expire, in accord with the Disney PhotoPass Expiration Policy.” Does this mean that an annual pass holder gets the benefits of MM while saving the close to $200? I’m looking at a 5-7 day trip and that difference could change whether one in the group is an passholder or not. Thanks! Yep! You basically get the Memory Maker for free when you have an AP. Do you get access to the on-ride videos with the Photo Pass with an AP (Annual Pass)? Or would those videos only be available if you purchased the Memory Maker? Yep! You do get those with an Annual Pass. It has been more than 45 days –but I now have the money to buy the memory maker ..is it gone? Thank you for the great explanation. I still have one clarifying question…if I am staying off-site and only have the tickets will I miss out on some pictures and videos? I wasn’t planning on purchasing a Magic Band, but if I am reading correctly, I need at least one in my party of 6 to get some pictures. Thank you for any help/advice you can give me. The article isn’t quite accurate about this. You still can get your ride photos and videos, you just need to scan your MM card at the Photopass kiosk at the end of the ride when you get off. Those with a MagicBand don’t have to, as the ride detects the band, your location, and your corresponding photo, and automagically adds the photos to your account. I’ve bought MM for our December trip and ! am the designated “owner.” Does this mean that each family & friend member has to get a physical card from the photographer and then link into my account or does this happen “by magic” because we are already linked up through My Disney Experience? Did you get an answer for this? We are going with two families, but only want to purchase one MM. As long as you’re linked, any pics they take will be downloadable as part of Memory Maker. How are you getting free Memory Maker? Annual Passholders can get free PhotoPass pics so I’m not sure if that’s what you’re thinking of? Regardless, you can buy it way ahead of time and it won’t be activated until you use it. Are you sure this isn’t just for the UK? I’ve been looking for free Memory Maker for Disney World Florida, I can’t seem to find it? I can find one for the UK. i just downloaded my pics from my disney experience & now trying to create a photo book on shutterfly. the photos are jpegs & in a file on my desktop. but when i try to upload to shutterfly by opening the file where i put the pics, they are not there to upload. yet when i open the file on my desktop, they are there. can anyone help me please? There will be four families in our group, 4 rooms on property, each with their on MDE accounts (that we can link together for fast passes ADR etc., no?) If family one purchases one MM package ($169) can family two have pictures taken without family one (purchaser) being there? Is there a limit to how many pics you can have taken? Say Family 2 has pics with Anna & Elsa, can family four go later and have the same pics taken as well or will they need to purchase their own MM package? Call Disney. They were so helpful answering many of my random and specific questions. They’ll hook you up with all you’d need to know and wi clarify any confusions. Did you ever get an answer for this? I’m wondering the same thing. I have pre-purchased memory maker and am going to Disney World with my sister’s family. In my family and friends it shows I am friends with her and her husband her children but I can’t allow them to see my photo pass pictures because my sister manages their account. (My sister can view and purchase my photo pass pictures) Will that be confusing for the ride pictures if for example my brother in law is on buzz lightyear with my nephew and it’s reading their magic bands, will I not get those pictures? or does my sister have to do something on her end so that it will allow them to be linked to my memory maker? I just want to make sure I’m doing everything right and am minimizing losing pictures to the account before I even get there! I just returned from Disney and I had the Memory Maker associated with my Magic Band. We traveled with 2 other families and because we wanted to reserve fast passes together, we all accepted each other onto each other’s “My Disney Experience”. Everyone else in my party clicked a sentence that said something like “share your photos with others in your group”. Every picture that anyone in our group had taken by disney photographers or on rides appeared in my account as part of my Memory Maker (whether I was there with them at the time or not) and I had the ability to download everyone’s photos as part of my Memory Maker package. The pictures also appeared in their accounts but they could not download the photos. Only the person with the Memory Maker entitlement can download the photos. We had 18 people in our group. Did each family purchase the Memory Maker? We are going with another family and are linked together in the My Disney Experience. I’m wondering if both families need to purchase or can we share? Hi…I think you answered my question too, but just want to confirm before I buy Memory Maker. We are taking our son and family to WDW in March. I am the one who has everyone linked in My Disney Experience since we are paying for everything. When I go to MM through my Disney Exp, I just add my name and purchase it? Or do I need to list everyone on the friends and family list? Afterwards, when all the pics are done and the trip is over, will someone else in the group be able to purchase cups, photo books etc from MM on their own? How do we separate the purchases if its all in my name? 1) They take your photos and you download them but you still have to pay $15 per picture if you want a physical copy? 2) If you download them are they “yours” to make a photo book or coffee mug with through shutterfly or any other service? If you buy printed photos directly from Disney, they are $15 each. If you buy Memory Maker, you get the digital downloads of all of them and can print them anywhere. Thank you for the great info. Sorry if this has been answered, but just to be clear, once you download all of your pics within the first 45 days, the pics are yours to keep forever to do whatever you like to them? I.E. print, edit, share just like you would if you took the pictures on your personal camera? Hi, I have booked 3 week trip to Orlando, in December with a total of 10 of us going. We are looking at booking the memory maker in advance before our trip to Disney, however we are staying off site and we will not have magic bands. I have read that you can use your park tickets but you have to have a magic band if you want the ride photo’s/videos. Is this correct or can you still get the ride photo’s with just your park passes? Best thing? No one walks in front of you whilst your picture is being taken!! My question is concerning the 3 days for pre order. . Is it full days? If I buy the preorder today (Wednesday) will I get pictures taken on saturday? I was wondering if you have MM can you get the frames the pictures would normally come in, for instance we ate at Ohana’s one time and had family pic taken before breakfast we purchased it and it came in a cute little cardboard picture frame. So can you get those cardboard frames for when you print your pictures. Unless you are an old person (mom was having her 76th Birthday) in a scooter or a kid, the Photographers are VERY RELUCTANT To take your picture. Most places they took three or four of mom and only ONE of me. (sometimes I even had to say “I want my picture taken too, Please” because they were sending the next group up before I even got to meet the character, even after telling them that I wanted mom to get her picture alone with the character before I joined them. So while mom has lots of great pictures to choose from with Characters, in front of lovely Backgrounds or with Park Icons: I have very very few that turned out nicely. And since mom is a very bad photographer that means I don’t have very many photos of me at all. That has not been my experience at all. All you need to do is walk up to any Disney Photographer and ask them to take your picture. That’s how it works. I thought it was just me, but I noticed that although the Disney photographers are supposed to happily take your photo regardless of whether or not you are part of memory maker, they seem to cop a little bit of an attitude if you do not have it. They can be downright rude about it sometimes. I usually take a pic of my daughter w/character w/my camera, then sometimes (not often) might ask them to take one of us w/my camera and then still might ask to put it on the Disney card. You can do that whether or not you have prepurchased. That way you have the option to look at their photos and decide if you do want to purchase after. Maybe because I was not a prepurchaser of memory maker, I have seen some attitude coming from those Disney photographers! And I always feel rushed. When I see them taking their sweet time with some folks. Could those be Memory Maker people?? I could never figure out what the deal was. When let me tell you, I pay good money to Disney every year, so if I even get a hint of that being the situation, they are going to hear it from me!! My daughter even had some Brazilians cut in front of her to get pics with Mickey last year and she said the Disney people witnessed it and did nothing. Don’t even get me started…. Is it worth it for people who aren´t living in the states? Do you know what it costs if u want to purchase photos or mugs afterwards? How many people can be on one memory maker pass? I am coordination 28 people (5 families) some of who are staying onsite and others who are off site. Can we purchase one $169 pass for everyone? Do we just have to get a card for each family? If so, that would be AWESOME! Yes, you just need everyone linked to each other. I called in and did it over the phone. We just went with a group of 13. worked great. Vanessa we are going with one other family in October and our MDE accounts are linked, so that means we can just split the cost and all of our pictures will show up? Yes, you can do that and the “Sharing Memory Maker with other people” section explains how that works. Shannon, if I am participating in a Memory Maker share and only the entitled person can download photos, how are the second families downloading their pics? Does the entitled person have to give them their MDE login info? Thanks for all of the wonderful info!! I think most people download them and then send the pics to the other people on a flash drive or by email. Can anyone confirm if the one-day MM is still available? So I just was at Magic Kingdom and confirmed that the one-day memory maker is still available (I got mixed answers from 4 people at Disney via phone/email before our trip and even from the Downtown Disney people). The only way you can get the one-day memory maker is if you have a one-day park ticket. It was $39 + tax. We purchased ours at Guest Relations inside the park. This is so great to know! Just heard it on your podcast and came here to get details. Would this work in multiple parks if you have a one day PH? I don’t think so. The guest relations person told me that I needed to have a one-day, one-park ticket in order to buy this version. Otherwise, you should just get the expensive one that will work throughout multiple parks. Has anyone ever had missing memory maker photos? Have they recovered them when you filled out the form? I got a bunch of crappy attraction pictures but none of the ones that really mattered, like family pictures in front of the castle at night and my Be Our Guest Mother’s Day dinner. I’m so devastated. I paid a lot of money for this service and the most important memories from the trip are missing & I’m worried they won’t be recovered. Disney Photopass offers a 1 time extension of 15 days before pictures expire. Has anyone confirmed that would work with Memory Maker to potentially provide up to 90 days of photo opportunities? That is, no Memory Maker photos downloaded until day 60 from 1st photo taken and then an additional 30 days from that point. I am wondering if I can share my Memory Maker account with my sister, who will be vacationing in Disney the week after me? Or would that only work if we were there at the same time? Thanks for the info! Interesting thought. I think it would actually work just fine. How do you set up a dummy account for memory maker. I’ll be at the park in Sep 2015, and would like to share the cost with a group. Yes, just call in and have the reservations linked. It worked great for our group of 13. But one person has to actually hold the entitlement on their Magic Band or on their account. That is the only person who can actually edit the photos and download them later. Is the one day memory maker still available for purchase? Can you buy ahead of time or have to buy that day in the park? If it’s still $39 I am only going to 2 parks so at $78 is cheaper then $169 and you get the same features, correct? Can’t find any information on one day other than it was a piolet in Ocobter 2014. Thank you! I’ve read your post and all (I think) the comments but still need some clarity. My immediate family and extended family are planning a trip in a couple of weeks. I have a MDE account and am managing my husband and children. My mom has a MDE account and is managing my dad. My sis in law has an account and is managing her kids. My brother has his own account. We are all listed on each others’ family and friends list. If I purchase Memory Maker, will everyone be able to link their pictures to my MM account? Is it automatic? We are staying off property. I have purchased magic bands for my immediate family but no one else has them. I think I understand that the photos/ride videos of people I manage will appear in my MM, but what about those I do not manage? Thanks for your help! I have a very similar situation and was wondering if you went yet and how did it work out. Does the person from each family that is managing the account need a magic band to get the photos and videos? When we went in 2013 our MemoryMaker photos were sent to us on a DVD about two weeks after our trip. Do they no longer do this? It was so easy and convenient. All of the ride photos are included with Memory Maker. The details above are confusing. I just returned and ride photos for all of the attractions were linked to my MB and in my MM account when I logged into MDE as well as some ride videos for SDMT. 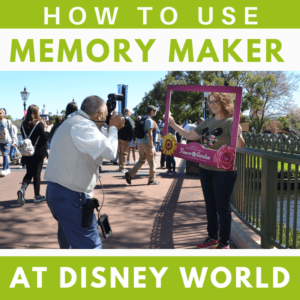 Hi – We are travelling to Disney next week, and I am still on the fence regarding Memory Maker. Can you tell me if character pictures (i.e. Anna & Elsa) are included in the photopass options? I have a feeling we will be spending quite a bit of time meeting characters with the kids, so I just wanted to see how this worked. Yes they are. We had some lovely pictures taken with characters during our vacation, including Anna and Elsa. We are traveling as a group of around 15. Can a memory maker package be purchased and all of be linked on to one account via Magic band? Help! Purchased a MM for a July trip from my acct. Then decided to take a May trip and am sharing another MM with a group arriving before me (they purchased the new May MM). We are linked as friends and family and my July MM is showing in their account, along with the May MM. How do I make sure May photos do not activate and are not assigned to July MM? So if you purchased it as part of your July package you should be fine. That said, given it’s showing up I’d either call Disney or, if you’re using a travel agent, I’d give them a call and have them sort it out. In ’10, I received an email offering me a pre-order discount for the Photopass+ (i think that’s what it was called). It sounds similiar to the Memory Maker currently offered. Is there still an email offering further discounts or is the $169 the cheapest it’s been offered? No DVC or Disney Visa discounts either? We purchased it for $100 & we found it really difficult to find Photopass photographers, so I didn’t really feel we got a great value for what we paid. Now it’s even more expensive, I’m unsure if I’ll be similarly disappointed. (We’re a group of 4 adults, no kids.) Especially during EMH, not a single photopass photographer was around at the main entrances. Or do photographers only focus on families with children & not an adults only group? Yes it’s roughly the same product. It’s been enhanced so that you can get ride videos and photos which were not available as part of it before and I find that the number of locations where photopass photographers are available has increased significantly. Even before I had my daughter my husband and I used to get photos taken and we didn’t have any problems with the photographers not wanting to take our pictures. I think like anything else you run into some less than magical people, but it’s been an overwhelmingly positive experience for us. As far as a discounted rate goes, there is the pre-purchase price of $149 if you buy it 72 hours before your trip. That would be the only discount I have seen. My husband and I are taking a trip to Disney for the first time as adults and the first time since Disney created the Memory Maker option. Since we are visiting for the first time in SO long, we aren’t entirely sure how necessary it will be for us and are willing to wait. However, I am concerned that if I don’t buy it before the trip begins, that will be unable to see all the photos and decide after the fact if I want some or all. I realize there is a fee for adding it late but what if we don’t add it at all? What if we just want to see how it works first and view the pics before we buy? Will we be able to have photos saved on our magic bands and linked to our account even though we haven’t previously reserved the program? I just really want to try before I buy! It’s $30 more to get it before-hand. I’ve been with my family several times. The first time we didn’t get it, we bought a picture package at Chef Mickey’s and somehow it was lost out of our luggage between Orlando and home. We’ve had friends lose/break their cameras. The pictures we got with the photo pass were so good that I was glad I didn’t have to choose the last time I went. All the pictures were mine! One of the photographers timed our photos so that we had fireworks behind us at the castle. We just stopped every time we saw a pretty spot and a photographer. Made it sort of a “thing”. The rides weren’t even part of it the last time we went! It’s so worth it now. Look at it as $169 photo insurance. 🙂 Even my husband who is notoriously frugal insists on the memory maker package now when we go. My husband and I honeymooned at Disney in October 2012, and I regretted not getting memory maker. Even though it was just us two adults. It was during Mickey’s Halloween party and we met villains which are our favorite ;p. There were photographers everywhere. They were kind enough to take single photos for us with our own camera but I’ve heard they no longer do that. (Liability issues and probably because it really really slows things down). I really wanted 3 of our photopass photos but $45 for 3 photos felt like such a ripoff I refused. I do wish I had bought all of them instead. I wouldn’t have felt so cheated. We’re going to Cinderella’s Table next time and I’ve learned my lesson. For me it is worth it to pre-purchase. Especially since I’ll have two kids with me. It is super convenient imo. My wife and I went on our honeymoon in 2007. We had the photopass option. I am so glad that we did. I would say about 90% of the photos that we kept from our honeymoon came from the photopass. Hello! First wanted to thank you for making planning so easy for our upcoming trip! If we get the memory maker and I link my MDE account with a family members account, is there an expiration on the MM? For example we will be there 5/20-5/27 and the other family member will be there 5/25-5/29, can they continue to use it even after we have checked out as long as we haven’t started to download the picture yet? I purchased MM for the main reason that I want to be able to have pictures of my older teenagers from when they are off in the parks on their own (I don’t trust that their selfies will make it to my album). We are staying on site, so we have magic bands. What, if any, instructions must I give them to ensure that I get the pictures? Make sure they use their magic bands for character photos? Do anything special after rides to ensure they get their ride photos? We just returned from a week long stay and Memory Maker was so user friendly. The only thing your kids need to do is have the photographer scan just one of their Magic bands after they take the pictures (the photographers will almost always remind them of this). As for the rides they are automatically sent to your account. Its really cool, and painless. The ride has some sort of sensor that scans the magic Bands of riders and knows just where to send the pictures. We were very impressed honestly, and ended up taking tons of great pictures in all of the parks. We had the same concern before our recent trip. We just returned and everything went smoothly. Our memory maker was only listed as being under my husbands name, but since our entire family was linked to the same My Disney Experience group (i.e. showing up as you described above) then all of our photos were linked as well. The Memory Maker can only have one person with the rights to download the photos, which is the one person it is listed under. However, ALL members of your party (so long as they are linked to you as you mentioned) can take photos under your plan. Just make sure you always have someone scan their Magic Band and they will all be there. How do the magic shots work? Can you add characters to your photos when you download them or is it something the photopass photographer does? Will they only do them if you’ve pre-purchased memory maker? You will have to ask if they do Magic Shots. Some will ask if you want one, but not always. Mine is a question not a comment. When buying Memory Maker or Photo Pass are they bought with every ticket or is it one per family? I have 7 members in my family and we are going with 3 other families. A total of 16 people. So do I need to buy 16 memory makers? One per family. Also, if you link all of your family/friends together under My Disney Experience as people you are planning with, then you will be able to use just one for the entire group of 16. We recently returned from a trip with 7 (three separate reservations) and ALL of our photos from every combination of people were available under our one Memory Maker account when we returned. The key is making sure you are all linked together under MDE before the trip. I am still slightly confused after researching. Say I purchase the MM and when I come home from my trip and I digitally download all the photos that were taken by the photographers, where do I go from there? Will the photos only be available through my Disney account? Or will it be downloaded on to my computer? I will be going in May and debating whether this will be worth it. You download all of the photos to your computer and then you can do whatever you’d like with them. I am trying to decide if it will be worth it to purchase for our trip in May. My husband and I are taking my 22 month old daughter as well as my mom and aunt. We are only going to Magic Kingdom one day, one day at a water park, and have reservations for chef mickey later in the week. We are staying off site. I’d love to have pictures of all of us. We also have family friends that will be going to Magic Kingdom during the same week but probably not the same day. Can we split the cost and they be able to use it to if we both are only buying one day tickets? I love the extra magic shots and the different borders. Will I be able to get those if I decide to purchase memory maker after our trip? TIA! this is very helpful information! Have you done more than one trip on the Memory Maker? The disney FAQ says the photos expire 45 days after they are taken so I am just trying to figure out if i can get away with just buying 1 MM if im going the end of sept and the end of nov of this year. I have used it on more than 1 trip when I visited in both October and November last year. MM is valid for 30 days commencing when the first photo is taken. You then have 45 days to download at home. Hi Shannon, I just had to say that on your recommendation I purchased Memory Maker for our trip in October 2014 and thought it worth every penny. It was just me, my husband & our toddler but it was wonderful to get so many photos with us ALL in from a holiday! Every photo we had taken was there when I went online (even though I did note them down just in case), and we only had one rogue ride photo of someone that wasn’t us, which wasn’t really a hardship! As we had our toddler with us there weren’t many ride photos we could take advantage of, as they tend to be the headliners, so we only had ride photos of the Buzz Lightyear Ride. And although we did 6 character meals in total (I LOVED them, never mind my little girl!) we only got the opportunity for photopass at one of them (the breakfast at Tusker in AK) which was great to have. I’ve recently listened to Shannon’s podcast on this and she makes a very good point that unlike a lot of places you go, the Disney Photopass photographers DON’T hassle you at all to have your photo taken so you have to make a conscious effort to go over to them when you spot them and ask for your photo taken. Which is actually great of them, and it is refreshing not to be hassled, but if you tend to keep your head down in a crowd and are quite shy / reserved, it does mean you have to be proactive about getting your pic taken! Our only regret when we got home was that we didn’t actually do this more – we are planning another trip for November this year and I am going to be looking out for Photopass photographers constantly – you may as well get your money’s worth! Also a quick tip – if you want Magic Shots (where they put Tinkerbell etc in your photo) then don’t be shy and ASK them! After a few photos I realised no one had suggested it to us so I started asking them, and they were more than happy to do it! But I didn’t actually come across anyone offering it to us without me mentioning it first. Great review for someone with a toddler! (Like myself). Thanks for answering the question about if the photographers were there before the park opened (for those of us with breakfast reservations). I’m happy and very excited to hear that they are!!! Out of curiosity … how many pictures did each photographer take? For eaxmple, did they use a burst shot when your child met charcters? So there would be a bunch to choose from? Hi Christina, sorry I just saw your message! I would say that we found the number of photos taken tended to vary between locations, at the busier places they probably took less. I wouldn’t say they ever took pics on burst setting but they always took at least 3 or 4. I’d also say that they are obviously pretty experienced at photographing kids so out of the photos they took there are a very high number where they managed to capture my daughter smiling or looking at the camera – certainly more than I would have managed! They do time them well! If the full price for the Memory Maker is $199, and it’s $169 if you pre-order, how are you saving $50? Did I miss something? This site is great for us first timers! 1. When you say the photographers take “a lot” of photos at character meet-and-greets, how many is a lot? Let’s say I hand them my camera and they take 2 picutures … are they taking 5 with their camera? or 10? or 20? 2. Are photographers available before the park opens? For example, I got 8:30 breakfast reservations inside MK. MK opens at 9:00 that day. I’m excited to get there early before there are a lot of people on Main Street. But will a photographer be available to take a family picuture on Main Street with the castle in the background that early in the day? Or should I plan to bring my tri-pod? (It’s a small tri-pod, I only have a point and shoot camera) . 3. Why aren’t photographers available at the character meals? Crystal Palace? Hollywood and Vine? I know there are alot of people at those meals, but you’d think Disney would take that opportunity to “sell” you more photos! They could put one photographer with each character and have them follow the character around! Just my 2 cents! 1.) In my experience the photographers with characters took about 6-10 photos per meeting. (Occasionally up to 15ish when the line behind us wasn’t staggeringly long) and the photographers out in the parks, taking photos in front of landmarks such as rides or the castle, take about 4-6 shots each time you stop. 2.) Our breakfast scheduled before park opening did not have any photographers available on Main Street. I would bring the small tripod just in case. From what I have read on many reputable sites, and from my own various experiences, the photographers before opening time are very hit or miss, and it can depend on the day and time of year as well. 3.) I agree. I would love to have a photo pass photographer travel with the characters at the meals. this march will be our son’s first trip to disney, I love taking pictures but ofcourse I am never in them, we’re just going to 2 parks, MK and AK (low budget) so I was wondering if you think it would be worth for me to purchase. My son is 3 so we won’t be able to ride the thrill rides this time, we do have a charactrr breakfast at ohana but that’s about it… I like the idea of not having to worry about taking out my camera to capture some magical moments but at the same time I don’t know if i should spend that amount… Would love to hear your opinion. Thank you! If you are on a tight budget I would recommend skipping the Memory Maker. The Disney photographers are happy to use your personal camera to take a picture of your family in the same spots. Just make sure you have your camera ready to point and click. We went this past October and were devastated that A LOT of our pictures never posted to our account. And we ended up with many, many pictures of other families. Either the system was glitchy during our trip or the photographers were having trouble remembering to do something, We are planning our next trip and I don’t think we’re going to spend the money on it this time. I am in the same boat as Gabriela. My daughter is 2.5. We’re doing 2 days at MK and 1 day at HS. Since she is so young, we probably won’t get any ride photos. And the character meals we have reservations for do not have photographers (Pooh at Crystal Palance and Disney Dr at Hollywood and Vine). However I do plan on trying to do alot of character meet-and-greets. So, I’m still on the fense too. I guess if you do the math … at $15 a photograph purchased separatly … if you do the pre-purchase at $169 that would be like buying 11-12 photographs … or the regular price at $199 would be like buying 13-14 photographs … So if you think you’ll buy more photos than that, it makes sence to do the MM. But it is hard to pre-purchase, when you haven’t seen the photos yet! We splurged on it and it was one of the best purchases from our recent trip with our three year old son. We were able to get some priceless family shots. If you truly take advantage of the countless photo pass photographers throughout the park then it can be a great value, and you will end up with tons of fantastic pictures. I highly recommend it. One additional comment, over the course of 6 days we took nearly 300 photographs. There were at least 50-60 that are amazing, and LOVE!!!! We used this for our trip in Aug.2014 and I loved it. We got some of the best close-ups of the kids in multiple locations. I liked them so much I made them into 5×7’s to put on our mantle. I also liked the fact that I am actually in the pictures! So many years of just one or two shots with me in it, but not with MM. We’re able to see us as a family enjoying Disney. We’re definitely getting it for our next trip, it’s worth every penny. Have you heard any updates on the Haunted Mansion photo/video? My husband is a huge Haunted Mansion fan, we’re heading to WDW on Sunday, and I’m still holding out hope that something will be in place… but it’s starting to see unlikely. We just got back from our trip and we ended up wanting more more photos than we thought we would! (Shocker, Disney!) Can I purchase the memory maker now (post trip) and still download all of the photos? I just wanted to double check before I spent $200. Thanks for all of your help. Such a great site! Yep! You just won’t get the pre-purchase discount. We are going as multiple families on our disney trip. Can we share one memory maker pass or do we each have to get our own? I just called today with this question. You can all share one memory maker pass, using separate photo cards linked in. The only thing is, only one person can be responsible for downloading the pictures. For me, this just means I will see all the pictures from all my family, copy them to discs and get them the discs with their pictures. A little bit of extra work on my part, but awesome to have everyone in the large group be able to take advantage of it. Best of luck and have a magical day! Ok so let me make sure I understand this correctly. We are going as a family into the park for the first time on Jan 29, 2015. If I wait until March 12 to begin downloading my photos from that date I have 30 more days to add photos to my collection correct? My parents are taking my middle daughter for a special one on one trip ending April 9, 2015 (71 days from the start of ours). So if my mom shares her account with me ahead of time I can start downloading their photos while they are on the trip as well before my window for downloading closes on April 14th? Do the photos download to a cd or to your computer? Also even though I won’t download until March can I view them right away? Thanks so much for your help but this is a great way possibly to save my parents some money! Can all family members linked in the account buy photo CD’s or just the person with entitlement? Quick question, in the past I was able to use Photo pass to create a photo book. I had access to all of my photos as well as stock photos. The photo book was $70 but since I prefer to have the photo book than prints anyways it is cheaper than the $150 for memory maker. Also I don’t think Shutterfly or other sites have licensed disney backgrounds and layouts even if their books are cheaper. Am I still able to order the photo book using all of those photos, including meals and character greets? Where do you recive your photo pass card? The Cast Members taking photographs can give you one. You can keep up with the same one all trip, and they will scan it when they take your picture, or you can get one each time. We forgot ours one day, so we ended up with two, but they all worked when we got home. I keep seeing the the benefit of MM is that mom (or the usual photographer) can get in the pictures, but isn’t this true for photo pass in general? Also, if I’m not interested in ride pictures or video, just character pictures, it seems like MM is just the ability to download all pictures, right? If I wouldn’t download $150 worth of pictures, then it’s not worth it. Also, thank you sooo much for your website!!! It has made planning so much more successful! I found out from your site about the royal room at port Orleans and was able to book it for my 3 year old princess! We went to Disney World for the first time summer 2014. I did like the fact that we were able to get family photos. However, our photos with Elsa did not upload which for my daughter’s was upsetting and several of our other images were not uploaded. Unless you remember what day and where you are you may not get your photos. Plus there were several times the cameras were not working. So I was disappointed for what I paid. Maybe this has been fixed since summer of 2014. Also one 46 is about $15.00. Uploading to Shutter fly recommended. Last year when we went to Disney we used a thing similar to MM and Photopass except it was only about $45 and it was just for the ride pictures. We really liked that system but i cant find the name of it anywhere or where to purchase it. Do you know what its called and if its still available for purchase? It was called Attractions+ and doesn’t seem to be an option anymore. MM is perfect for anyone that seems to always end up taking the pictures. As a single parent this was the best way to get great pics of my DD6 and I together. We had very few of us together until our trip to WDW this past September. Now I have a ton!! Worth every penny. I could cry! Do you order the CD before/after your visit? We loved the memory maker! We were able to get tons of group shots (which with a party of 9 is amazing). Basically, everytime we saw a photopass photographer, we stopped for 2 minutes and took a picture. Also, at the time we travelled, the program was quite new (January 2014) – we found that we were given just that little bit of extra time with the characters. My only suggestion would be that Disney look into photopass photographers at the character dining as well. Well worth the cost for not having to hassle with a camera, focussing etc. We could just enjoy the moment! Thank you so much for this post. Ice read some many things about MM and just got so confused. Yours really clears it up! I will be for sure getting it for our disneymoon in February! I don’t think I’ve ever suggested ordering it closer to your trip (my only advice along those lines is regarding party tickets). I think it’s totally fine to order it when you book your package. You are truly wonderful! This post is informative and detailed. The main reason I purchased this was because I want to be in all the photos too. THANK you for this. So much easier to understand ! how about the pictures outside of rides? Like the Star Wars one. Last year we bought a picture of the three of us superimposed on the characters. Will that be on memory maker? Yes, most all pics are included with Memory Maker. When we were there in January 2014, the Stars Wars, superimposed phtos in the Star wars shop were not part of the memory maker. As of January 1 2015, Star Wars superimposed photos were not included for MM. They were $50 for one and get a second one free. Do I have to purchase Memory Maker to download all of my pictures digitally from Photopass? Or can I just download them with a photopass ID? To download digital version of your pics, you either have to pay $15/photo or pay for Memory Maker which allows you to download them all. Here is another suggestion. Unlike the old system when you edit the original shot (crop or add borders) the original is not automatically included. There is a button to create a copy that you can do edits to. My memory ‘ain’t’ so good so I download the originals then go back on site to edit and add borders and download the revised shots. Great detailed post (as usual)! It’s actually sounding easier now than it was just a year ago. When I arrived last year we had to go to guest services to link photo pass with MDE, and we had to collect the photo# from every ride and then go to the attached shop and have them manually add that photo to our account. I am very glad to hear that now they can automatically link the photos to MDE without a visit to the gift shop. Also, $15 for a single picture? Why is their price 15x higher (or more) than buying a picture off Shutterfly, for example? You’d think they would make so much more (in volume) if they charged $1 a picture or something. Do you have any additional information about the 1-day Memory Maker option? Can you purchase this if you have already purchased your party tickets? Do have to purchase it the same day as your party? If you must purchase it same day, can you purchase it before 4 PM (don’t want to waste precious party time)? Thanks. All I know is what’s posted at that link and it appears you should be able purchase it before 4 as long as you have a 1-day park ticket or a party ticket. THANK YOU, this is the most thorough and clear explanation I have ever seen of Memory Maker! We purchased it several months ago (and we did receive the cards before our magic bands, though I have since lost the cards!). We leave tomorrow for our trip, so I really appreciate this overview. Thanks for all you do! To get the stock photos with MM, do you need to purchase the CD? I did not receive a card in the mail but it is on My Disney Experience. Still confused. 12 of us going, all are listed in in my friends and family but only two of those people have their own MDE account. Different people go to different parks and have pictures taken, how will those picture get to my Memory Maker account? Example, my son in law is on my list, does not have his own MDE account but has a magic band, goes on Splash mountain, has picture taken, how do I get that picture on my Memory Maker account? Help, leaving tomorrow! The two people who own the MDE accounts should go in and make sure that the others are given permission to view PhotoPass pics (I showed what that looks like in the post). As long as the accounts are linked, everybody can use their MagicBand to have pics added, including ride photos. Let me also add there is no place I can find on Family and Friends list to add him to the Memory Maker, only the 2 people that have their own account show this. Just went to my husband (he does not have his own account) and looked at his list of reservations and went to the memory maker at the bottom and where it said to link I attempted to put in the memory maker confirm number and it says that number is assigned to someone else (me). Am I missing something? You don’t need to link the MM to anybody else. You just need to make sure you’re linked to the other MDE account owner as friends and that you’ve both given permission for the other to view your PhotoPass pics. My sister purchased the memory maker. When I link my photo pass to her acct, will my ride pictures be added to her acct? Yes. And you need to both make sure you check the option that says the other can view your PhotoPass pics. We just got back and I’ve edited and downloaded my pictures, but could not download the ride videos. Have you heard from anyone else that has had this issue? It’s not a great video, so I’m not upset, just curious. I was able to download my ride videos two weeks ago- they show up separately than the photos though. Underneath all the photos I downloaded, theres a separate download link for just the video. Okay so just to clarify…. if we want to use PhotoPass, but not Memory Maker, the service is free. But the only way to get our pictures is by purchasing them individually ($15 each) or purchasing Memory Maker after-the-fact in order to get digital download rights to everything. Thanks for this detailed post! Very helpful. We just purchased MM for our trip (we leave tomorrow!!!). We are staying off site and I’ll be getting a MagicBand. I’m the person who purchased MM, and my husband and children are under my account. (read: I do everything, my husband does not even have an account of his own to log into) If he goes off with one of my kids and they get a picture, can he just show them his card? I want to be sure that we do not have to get a photopass card for him, and that his park ticket will suffice. We are going with my parents, sister and other relatives too, who I am all “friends” with on MDE, so I want to be sure that my account will work for them as well using park tickets. I know you covered this, but I want to be very clear. His park ticket will work because it is linked in your MDE account but the on-ride photos will not link automatically for him. He should stop by the desk at the exit area of the ride to add ride photos. Is this just because he doesn’t have his own MDE account? Vallie – this is because the RFID technology in the tickets is not the same long-range transmitters that appear in the MagicBands. MBs can be detected from a much longer distance than the tickets, which is why the videos/photos from rides are automatically added when you are wearing your MBs. We recently purchased Memory Maker for our upcoming trip (we leave today! YAY!) and I have one small thing to add. If you pre-order, you WILL receive a Memory Maker card in the mail. I got mine last week, about a week after I pre-ordered. It is unnecessary unless you don’t have another form of RFID media (MagicBands, tickets), but they will send you one anyway. I’ll update the post to reflect that but many/most people don’t seem to receive anything so I’m unsure of the pattern there. Hmmm. It might only be if you pre-order within a certain time-frame? Just a thought. I know at least one other person recently received one in the mail, though, because she was very concerned that she didn’t know it was coming and thought she would need it. I didn’t know mine was coming either. Thanks for the thorough post! I enjoy your site. 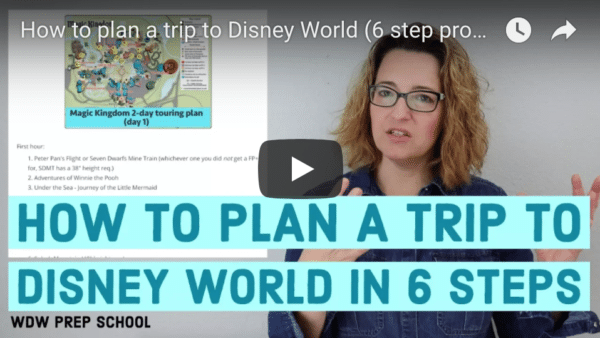 🙂 Even as someone who has 15 trips under my belt, I recommend your site to friends who are planning WDW trips! Did you receive your MM card before your MagicBands? No. I preordered only about 2 weeks out, so I’d already had my MagicBands for over a week before I even ordered Memory Maker. The card came about a week after I pre-ordered. I also got a card in the mail. I believe it came before my magic bands showed up. I took the card with me for our trip last week but never needed it. I saw that BBB has photos, but anything for Pirate League? Yes, they have PhotoPass photographers at Pirate’s League. Just added it to the post because I’m sure others will wonder the same thing.